Thinking That She Would Die, She Began Eating This And Lost Amazing 125 Kilograms! 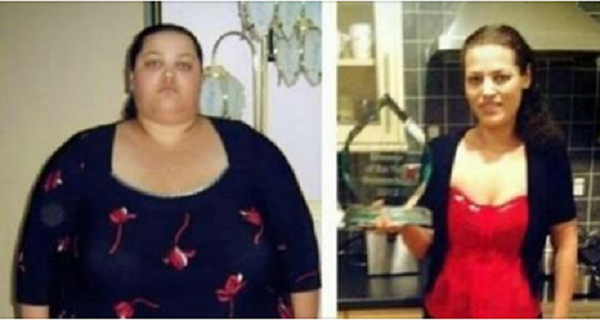 Home » Recipes » Thinking That She Would Die, She Began Eating This And Lost Amazing 125 Kilograms! A girl from the English town of Redich, called Emma Sealey, completely changed her life and appearance since she decided to improve her lifestyle habits in order to restore her health. Namely, Emma was so overweight that she could not tie the seat belt in her car. The most important thing is that she did not consent to any surgical procedures, but due to a change of diet and regular workout, Emma now weighs 125 kilograms/ 270 lbs less. Emma was 35 and she weighted 181 kilograms/ 399 lbs, so due to her excessive weight, she was convinced that she would die before her 40th birthday. She could barely walk to her fiancés’ car, and even when she could reach the car, she could not put her seat belt on. She also added that whenever she stood on the weight scale she was disgusted with herself. Her closest relatives and friends, as well as her doctor, tried to presuade her to implant a ring in her stomach, but she decided to try to lose weight naturally. In only two years, she succeeded to replace her old clothes, size 36, with new ones, which were size 8. She now weights amazing 56.7 kilograms, 123 lbs! This girl started gaining weight as a child, when she found comfort in food after the death of a close friend. Afterwards, when she became aware of her serious health issue, she consulted her doctor in the hope that he would send her to a special department where she could get help and reduce her body weight. Then, after many years, she stepped on a weight scale, and the figures shown forced her to determine to change her lifestyle if she didn’t want to die before turning 40. With the help of some local advisers for body weight from Cambridge, she first gave up all bad habits she had in her daily diet. Before her weight loss regime, Emma usually skipped breakfast, and ate sausages, cheese and chips with onion for lunch, and chicken with curry and rice with bread in the evening. Her favorite snack was chocolate. Nevertheless, her weight loss regime changed all these routines. For breakfast, she now had cereal with skim milk, for lunch she had tuna sandwich with black bread, while for dinner she usually had boiled fish and fresh vegetables. Instead of chocolate, she ate apples, pears, strawberries and oranges. Except the proper nutrition, Emma began to train regularly with a personal trainer, and she went running and cycling when the weather was nice. Emma gradually started to lose six kilograms a month. After two years, the results were simply unbelievable. Nowadays, she is a happy and confident person, proud of herself for being able to transform her body in a natural way. Above all, she eliminated all health risks and she enjoys her well- being.